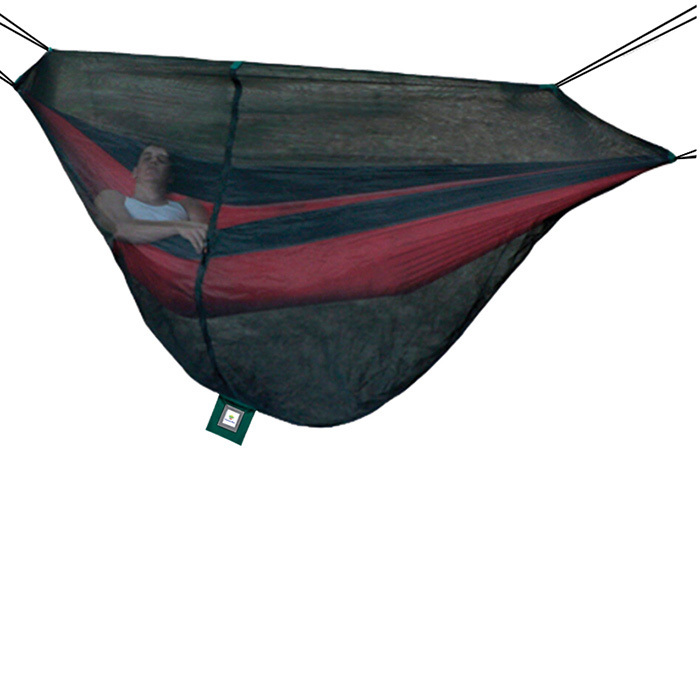 Custom made for bug free sleeping in Hammock Bliss or other hammocks, the Bug Cocoon completely encloses your hammock to protect you from biting insects. The Net Cocoon features 2100 holes per square inch black no-see-um netting that even the tiniest creatures cannot penetrate including sand flies, fleas, gnats, midges, mosquitoes and no-see-ums. Comes complete with 100 inches of cord on each side to support the net. Double pull YKK zippers make it easy to get in and a snap to get out of your bug free cocoon. Dream the night away in peace, confident that those annoying bugs will have to find someone else to bite. Dimensions: 118" x 57" x 52"